I’m delighted to once again host my friend Calvin Johnson, who earlier gave us insights on Galactica/Caprica, Harry Potter, The Game of Thrones and Star Trek: Into Darkness. Science is about truth. At least, some kinds of truth: its success lies in focusing on material, factual, reproducible truths. Science has been so astoundingly successful in that limited arena that we moderns assume it is the only kind of truth worth having. It’s an important distinction, because we try to force everything else into the same materialist mold as science, and often act as if poetry and politics, ethics and emotions are either true or not true in the same way it’s true that you and I are made of protons, neutrons, and electrons, and not true that the world is flat. We value honesty in people, and probably with very few exceptions we each one of us perceive ourselves as honest. But people are complicated. Walt Whitman wisely wrote, Do I contradict myself? Very well, then I contradict myself, I am large, I contain multitudes. But nearly two centuries after Whitman’s birth, we have become uncomfortable with contradictions, not only within scientific fact, but with the personal, the metaphorical. While for centuries people were mostly unfazed by contradictions in the Bible (with no small irony, the Scholastic movement of the late Middle Ages, which sought to iron out those contradictions, laid the logical foundation for modern science), today people lose their mind if a movie based upon a comic book differs in modest detail from the source material. While Whitman contained multitudes, a more recent spokesman for our braver newer age, Dr. Gregory House, bluntly stated, Everybody lies. To some extent that’s true–we lie to our loved ones, we lie to ourselves–and yet it’s also trying to impose a rigid, science-inspired, axiomatic framework on goopy, non-axiomatic people, House being a premiere example of that attitude. A new novel, The People in the Trees, explores the disturbing collision between scientific and personal truths. It parallels the real-life story of D. Carleton Gajdusek, who won the Nobel Prize in 1976 for his discovery of kuru, a prion-based disease. In the place of kuru, however, we get a retelling of the myth of Tithonos, a mortal whose immortal lover Eos (the Dawn) obtains for him eternal life. Alas, Eos forgets to also ask for eternal youth, and Tithonos continues to age, growing ever more enfeebled. 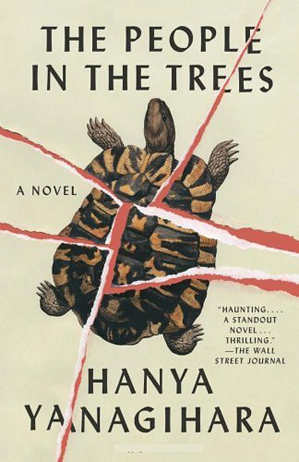 In this version, Hanya Yanagihara’s debut novel, a doctor discovers an isolated tribe on the tiny South Pacific island of Ivu’ivu who, by eating a rare turtle, live for hundreds of years. Alas, like poor Tithonos, while their bodies do not age, their minds senesce and they become drooling “dreamers” doomed to wander the forest subsisting on a diet of fruit and worms. Thus Perina demonstrates a scientific truth. But the truth is not always simple; and truth has consequences, as do lies. Perina holds back the information on mental decay, even though he observes it in his mice. Meanwhile, pharmaceutical companies descend upon Ivu’ivu like carrion crows. 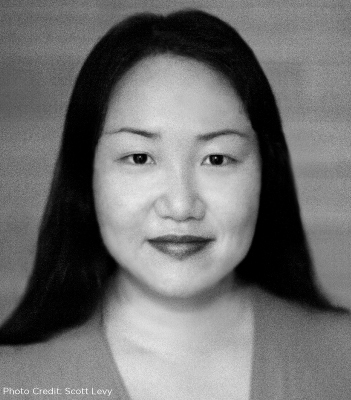 While neither Yanagihara nor her protagonist Perina fall for the myth of the noble savage living in simple harmony with nature, they are clear-eyed about the plagues the industrialized world brings: alcoholism, obesity, material envy and despair. When it becomes clear there is no elixir of immortality, the turtles having been hunted to extinction and unwilling to breed in captivity, the industrialized world abandons the island. Then plagues orphan children, and like his inspiration, Gadjusek, Perina adopts dozens of them. Was the accusation true? Perina, who is the narrator for most of the book, dances around the answer. He’s not the only one: the anthropologists he accompanies leave out of their published work any mention of the Ivu’ivuan rite of ritual sodomization of young boys on the edge of puberty. Furthermore, the novel’s framing supernarrator first removes and then, on the last pages restores, a key piece of evidence. Great men and women often have feet of clay. The prophet of liberty and logic Thomas Jefferson held slaves and fathered children on one. Nobel prizewinner Richard Feynman, whose graphical techniques revolutionized physics, became after the early death of his first wife a womanizer who seduced the wives and girlfriends of colleagues and students. And so on. In science we seek simple, clear truths. But the truth about people, whether living in huts in a forest or working in a lab in the U.S., is seldom simple. Even to say Everybody lies oversimplifies. Whitman is right. We are large. We contain multitudes, such multitude that even beautifully written novels such as The People in the Trees cannot fully contain them. Athena’s notes: An exploration of immortality that starts similar to Yanagihara’s but goes in a totally different direction is Le Guin’s “The Island of the Immortals”. This essay is particularly timely as the SFF community reflects on idols with feet of clay (and worse). Last but not least, on page 2 of Yanagihara’s book, it is stated that the turtle meat brings on immortality by inactivating telomerase, which degrades telomeres. In fact, the enzyme does exactly the opposite, and for this reason has featured prominently on tranhumorist immortality recipes (of course, keeping cells immortal is the definition of cancer). This ground-level error irritated me enormously, but I suspect I will read nevertheless read the book. This entry was posted on Friday, June 20th, 2014 at 10:20 pm	and is filed under Biology & Culture, Science, Writing & Literature. You can follow any responses to this entry through the RSS 2.0 feed. Both comments and pings are currently closed. The People in the Trees sounds interesting- I might read the book if I find the time. Honestly the idea of achieving immortality only to lose all your mental faculties with age sounds less appealing than simply dying at a more normal age… I have always suspected this would remain a major problem for would-be immortals even if we could somehow halt aging. I don’t know enough about biochemistry to spot that ground-level error, sadly, but I know how annoying those kinds of errors can be. It would be better if authors avoided technical/ish explanations like that. I was struck by the fact that immortal cells are the definition of cancer when I first learned about cancer- so in a way a cancer sufferer is dying of too much life!! I read the book yesterday and it’s definitely interesting (the telomerase persistent error notwithstanding). However, nobody comes to full life except the first-person narrator. Granted, he’s a narcissistic sociopath — but we get so little of everyone else it gets claustrophobic. Agreed! And the depiction of the interior of Perina’s mind is scary/scary good. A blogger I follow (rants within the undead god) posits that any eternal sentience would be insane. He (apocryphally) describes the universe as the remnants of a frozen, dying god. Interesting concept. An eternal sentience that resembles ours could well go mad after a few lifetimes (from boredom, if nothing else, even with semi-infinite resources).